and we develop games to help women develop and channel that power. Our video games are like life – complex problems, lots of options, spread over an extended period of time. Founded in Minnesota, SieEnt has assembled an amazing team of game developers to create RPG-style episodic video games. As a gamer, you will select your character and guide her through each episode of the game. You will encounter challenges at every turn and have multiple opportunities to hone your world-changing skills. As you build your game skills, you will discover that those skills have become a part of you – an astonishing and powerful part of you. 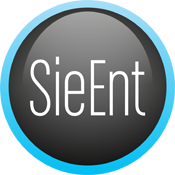 SieEnt (SEE-ent), video games that empower. Want to get the latest updates? Want to say “hi”? Here are some ways you can interact with us. We’d love to hear from you! is an energetic combination of knowledge, passion and drive: Knowledge from years of technical and business experience, including playing, studying and designing games; passion to increase the power of people, especially women in technology; and the drive to build a business that far exceeds customer expectations. Jacqueline has an exceptional ability to translate in-depth technical knowledge into credible, intelligible business processes and communications. Her commitment to empower women includes leadership roles with GIT (Girls in Tech) Minnesota and She’s Geeky. Her business vision incorporates state-of-the-art gaming technology, an acute business sense, and a drive to build games that enable players to reach their full potential in real life. Jacqueline can be reached at jacque at sieent dot com. approaches every challenge with a can-do attitude and extensive experience to back up her confidence. She believes in herself and creates a high level of confidence in those around her. Liz has made steady strides up the management ladder, managing large teams of creative professionals, customer-facing representatives and technical staff. She has emerged in Minnesota and nationally as a leader among women in technology, putting her passion and organization skills to work in building groups like She’s Geeky, and managing the operations of SieEnt. For Liz, SieEnt brings together all her strengths and passions: belief in the power of women, a love of technology, and an exceptional ability to manage people, processes and budgets. Liz can be reached at liz at sieent dot com. © 2019 SieEnt All Rights Reserved.